Jamie started his youth football at Coupar Angus Boys Club, and arrived at Tannadice at the age of 12 via city rivals Dundee. After attending Blairgowrie High School he signed his first professional form for United in 2014. With left back options limited in the first team during the start of the 2015-16 season, Jamie made his first team debut under Jackie McNamara in the Scottish League Cup towards the end of the manager's tenure while also featuring regularly for the Development squad. He was an unused substitute for Mixu Paatelainen's first few games in charge, and after signing a two year contract extension in January 2016, he joined Brechin City on loan until the end of the season. He made six appearances in League One, scoring twice, before returning to United for a place on the bench for the Inverness game at the business end of the season. 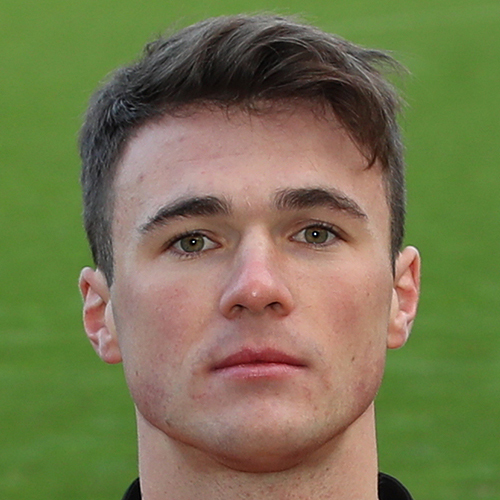 Now under his third manager at Tannadice, Jamie competed with Paul Dixon for the left-back slot throughout the 2016-17 season, more or less sharing the games between them as United just failed in their bid for promotion, and was part of the side that won the Challenge Cup in March. He became first choice left-back during the 2017-18 season, helping United reach the Premiership play-off final for the second year in a row, where the side again missed out on promotion. Jamie was born on this date in Perth. 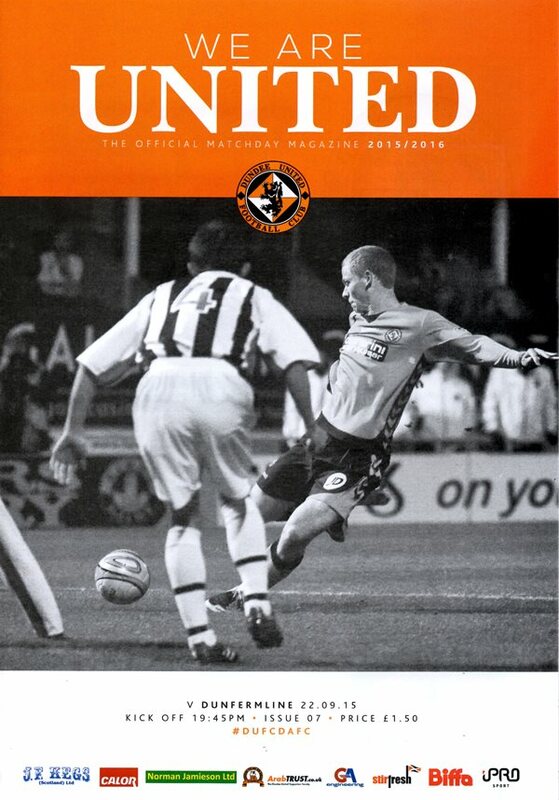 The hosts welcomed Ayr United to Tannadice in what was their first visit on League business since 1978. Another healthy crowd of just under 6500 was in attendance as the Tangerines looked to secure their first win of the season at the third attempt, following a much criticised performance during their 1-0 defeat at Dumbarton the previous week. United stormed to the top of the Championship after an emphatic 3-0 victory over a lacklustre Falkirk side. Indeed, United could and probably should have scored many more goals, foiled as they were by a combination of wasteful finishing, bad luck and a fantastic performance from Falkirk goalkeeper Robbie Thomson.